The Real Japanese Monk's Guide To Buddhism In Japan Straight from the bald man's mouth! When I wrote "Did Nara's Giant Buddha Statue Just Prevent A 7.8 Earthquake? ", I received a request to write about Japanese Buddhism. However, I thought it would be tough for me because I'm not a practicing Buddhist so I don't know a great deal about it. However, I had an idea: "Why don't I just ask a real monk?" So that's what I set out to do. Luckily, I had already done an interview with a monk in the article mentioned above, so I sent him a message asking to help me out again. Being the generous monk that he is, he agreed to my request. So, he made a draft of the differences among Japanese Buddhists (only the main ones) and I translated it into English. I also made a flow chart for better understanding (I desperately needed this for my own understanding). Once you all become more familiar with the history of how Buddhism formed in Japan over the years and the differences between them, he would also like to give you a detailed description of his life as a monk of the Shingon-sect. I hope you enjoy this article and what is to come. According to the "Japan Statistical Yearbook 2014" conducted by the Ministry of Internal Affairs and Communications in 2013, around 84.7 million people in Japan are considered to be "Buddhists" regardless of whether or not they are considered "practicing Buddhists." There are also many different Buddhist sects, too many to learn in just one article. There are 59 main sects that are affiliated with the Japan Buddhist Federation and that's still not all of them. I can't introduce them all, so instead I'll focus on the 13 major sects and their history in Japan. As many of you may already know, Buddhism originated in India around 500 B.C. and surged across Asia within 1000 years. The last place it arrived was Japan, first from Korea and later from China. This happened in the mid 6th century. It's said that the foundation for Japanese Buddhism was sustained and strengthened by Prince Shoutoku Taishi (574~622) because it spread quickly under his influence. He deeply accepted Buddhist concepts and even utilized them for political ideas. He also built temples such as Houryuuji and Shitennouji, the former was pressed into service as an academic temple for Hosso, one of the six Japanese Buddhist sects. Among these six sects, Hossou (a.k.a. Yuishiki) was the sect that studied Yogacara, which originated in India. It still remains with two of the main temples, Koufukuji and Yakushiji, and has maintained the practice of the tradition even into modern times. In this sect, Buddhists delve into their own minds and into the transient world where everything is changing and there are no permanent things. Unlike the principles of (Sokushin-Joubutsu 即身成仏（そくしんじょうぶつ）即身成仏) in Esoteric Buddhism, which means attaining enlightenment while still in the flesh, Hossou-sect established the theory that there are distinctions among people and that not everyone is so easily able to become a Buddha. Actually, the Hossou and Kusha sects are known for having very complicated teachings and there is even a phrase: "3 years for Hossou, 8 years for Kusha". 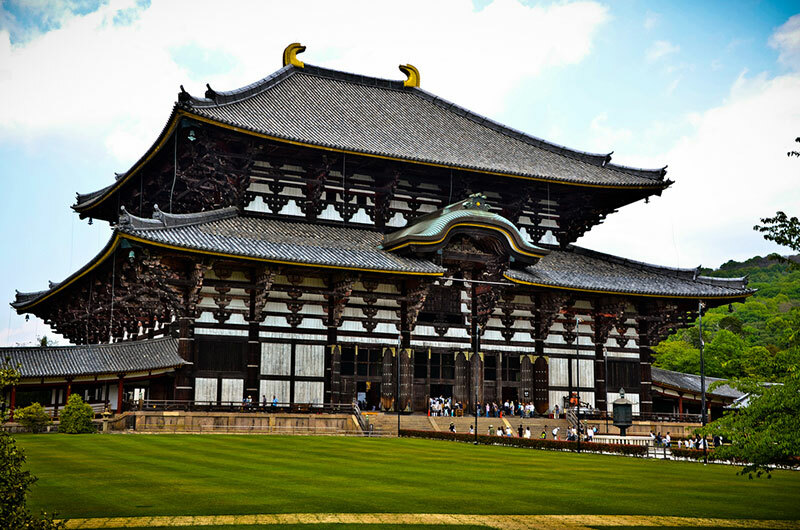 Kegon, is a sect dedicated to the study of the Avatamsaka Sutras and its main temple is the famous Todaiji. Within the temple, the giant Buddha statue of Vairocana, who is the Resplendent Buddha in the Avatamska, was built in 752 AD. 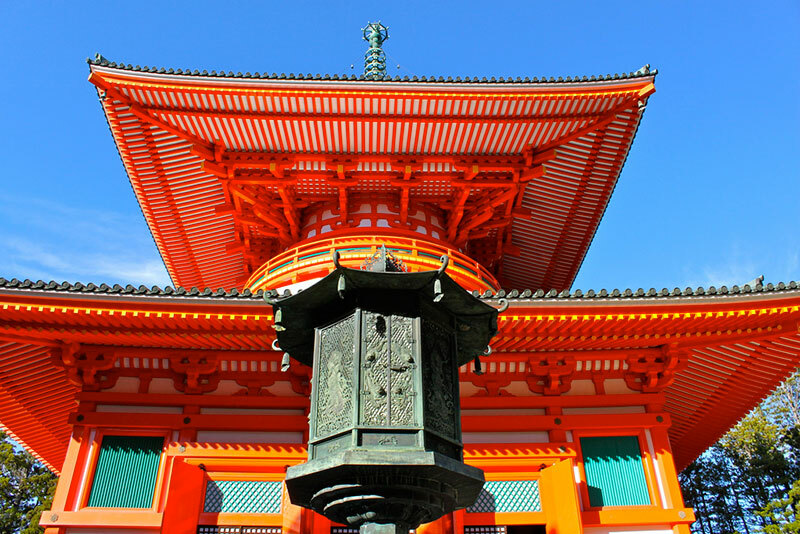 Emperor Shomu also established temples called Kokubunji within the provinces for the spiritual protection of Japan. Todaiji temple was the Kokubunji of the Yamato Province (present-day Nara Prefecture) and was also placed as the head of Kokubunji temples in Japan. In Kegon, there is a phrase: "One equals many and many equals one" They preach to attain the integration of ideas with the polar opposite of those ideas. As you could probably tell by the last sentence, this sect is very philosophical. In early 754, a Chinese monk named Jianzhen (688-763 AD), a.k.a Ganjin, traveled to Nara, Japan. He built Toushoudaiji temple in Nara and preached the Ritsu-sect form of Buddhism, which transmits and studies Buddhist Vinaya precepts. Ganjin is said to have conducted Jukai 授戒（じゅかい）, which means "the handing down of the precepts", and this was done to more than 40,000 people. Overall, the main feature of Nara Buddhism is that it supported the idea of national protection. Emperor Konin (770-781 AD) didn't like how groups of Buddhists could intervene in governmental affairs, so after his son became Emperor Kanmu (781 – 806 AD), he moved the capital from Heijoukyou to Heiankyou in 794 AD and left the Nara Buddhists in the older capital. Because of that, there was a blank period of religion in Heiankyou and it became an opportunity to foster new types of Buddhism: the Tendai-sect and the Shingon-sect. In 804 AD, 10 years after the naming of the new capital, Saichou, who later founded the Tendai-sect, and Kuukai, who later founded the Shingon-sect, went to China to study as Kentoushi ambassadors. These two sects are called the "Heian-two-sects"heiannijuu 平安二宗（へいあんにしゅう）. Saichou founded the Japanese Tendai-sect of Buddhism in Japan. At the age of 19, he received Gusokukai, which is a higher form of ordination at Todaiji temple, and became an official monk. However, just 3 months later, he left for Mt. 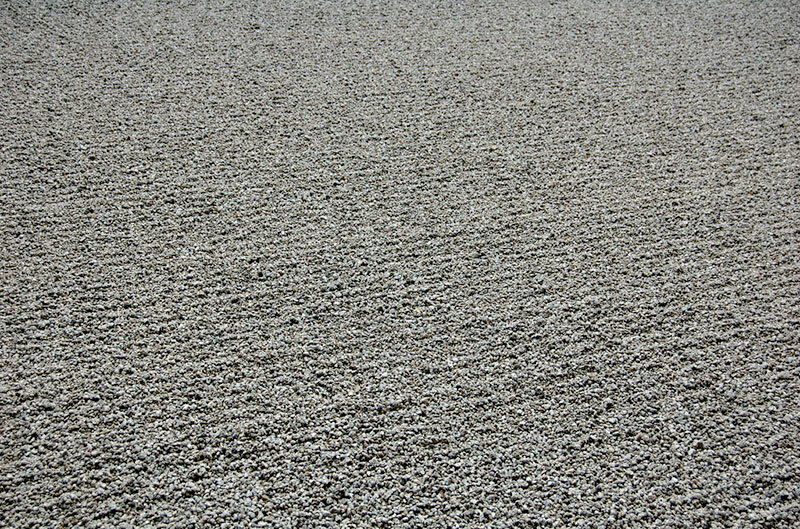 Hiei, which had been a mountain untouched by man up to this point, and this is where he built a quiet thatched hut that he called Ichijoshikanin temple, which went on to became Enryakuji temple. While there, Saichou made a vow that he wouldn't climb down the mountain, nor preach to the people, until being purified of the six sources (eyes, ears, nose, tongue, body, and mind) of emotional confusion (joy, anger, sorrow, pleasure, love, and hatred). It ended up taking him 12 years to complete this training in the mountain. This style of training still remains and is practiced in Joudoin temple, the West pagoda on Mt. Hiei. Saichou's training and studies were even met with full recognition from the emperor and he was chosen as a priest to study abroad at the age of 35. In China (Tang), he studied Tendai-sect Buddhism for 8 months and after returning to Japan, he founded the Tendai-sect of Japanese Buddhism. Nara Buddhism was not practical but mainly theoretical and its practice had just become a formality. Nara Buddhism was connected with political powers. In Nara Buddhism, not every person could attain enlightenment and enter Nirvana. So, Saichou criticized the Six Sects of Nanto Buddhism that had mainly studied doctrines for the protection of the nation. Furthermore, based on the Lotus Sutra, he insisted on sharing the belief of Issaishujoushitsuubusshou 一切衆生悉有仏性（いっさいしゅじょうしつうぶっしょう）, which means that everyone has the nature of Buddha within them and can reach Nirvana, whereas Nara Buddhism contended that not everyone is able to do so. In this way, Saichou attempted to disassociate himself from Nara Buddhism, but maintained that if people wanted to become official monks, they still had to receive the precepts in Todaiji temple like Saichou himself did. Then, Saichou made an appeal to the Imperial court of Japan in order to establish the Ordination Hall for Buddhist Confirmation founded on the Tendai-sect form of Buddhism. He explained to the competent authorities that the Tendai-sect could nurture purified Buddhist monks through the training on Mt. Hiei and that doing so would produce the sought after protection for the nation. Saichou, however, did not live long enough to see this realized, nor was it long after his death that it was realized. An imperial sanction concerning the ordination hall was granted 7 days following Saichou's death and the Tendai-sect was formally established, both in name and substance, as an independent religious sect. The teachings of Saichou and the "Inextinquishable Dharma Light", have been passed down to modern day monks at Mt. Hiei. Saichou's famous quote can be seen all over Mt. 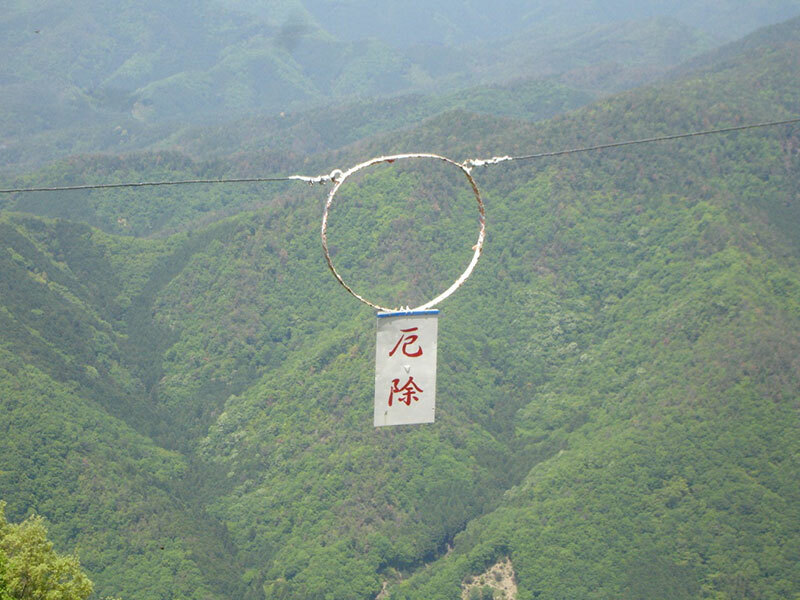 Hiei: "A person who lights up a single corner is truly a national treasure" (from "The Regulations for Students of the Mountain School"). Saichou explanation of his quote was that "everyone who makes an effort is an all-important national treasure no matter where they are or what their profession". 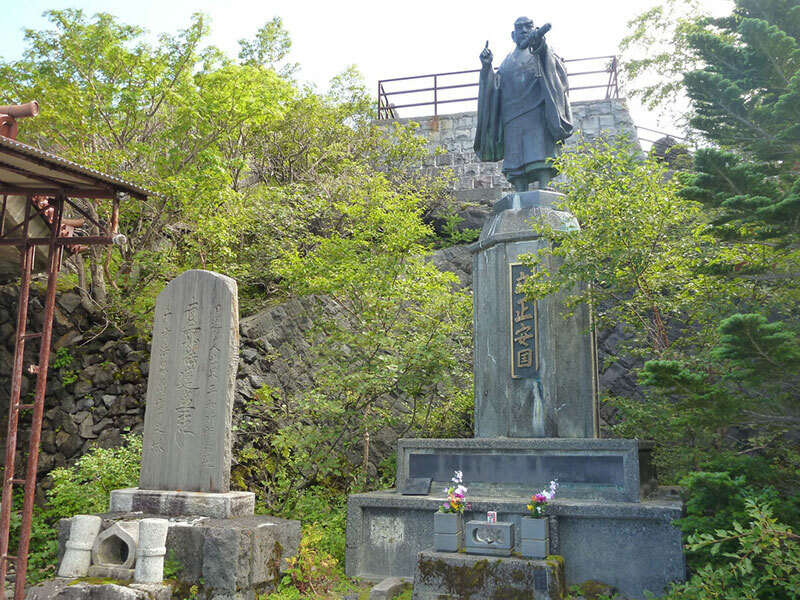 His teachings contain many elements linked to Shingon Esoteric Buddhism, Zen, and the teachings of the Joudo-sect, and thus Mt.Hiei functioned as a Buddhism university. 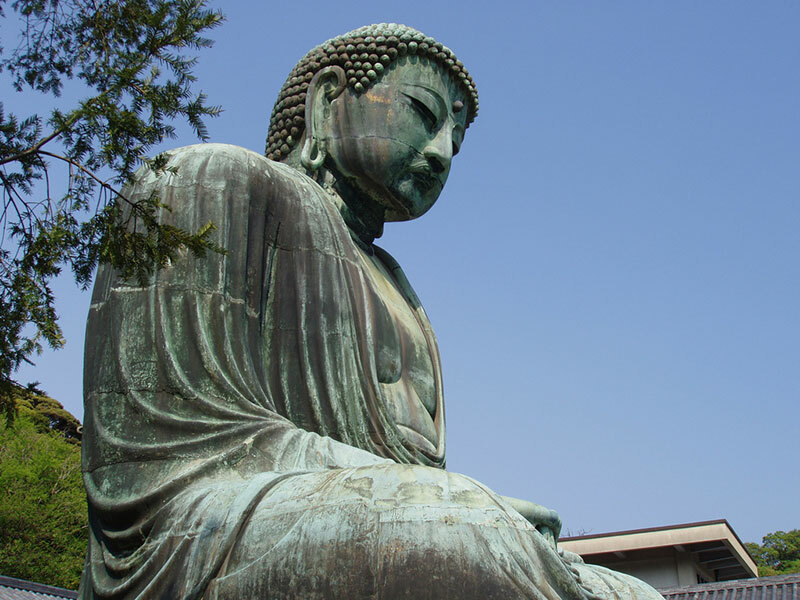 The Kamakura Buddhism founders that came later, such as Hounen, Shinran, Dougen, and Nichiren, all learned here and eventually set off in search of their own precepts. As a side note, Saichou was very strict about drinking alcohol. Someone who drank alcohol was never allowed to be a monk. Kuukai (774-835 AD), a.k.a. Kouboutaishi, was the founder of the Shingon-sect. He learned the teachings of esoteric Buddhism and all of the secret doctrines from priest Keika in Tang, then came back to Japan and founded the Shingon-sect. In 823, when Emperor Saga granted Touji temple to him, he decided that it would become a dojo for the purpose national protection. Until he passed away in Mt. Koya in 835, he not only propagated but also carried out social welfare projects, such as building a bridge. 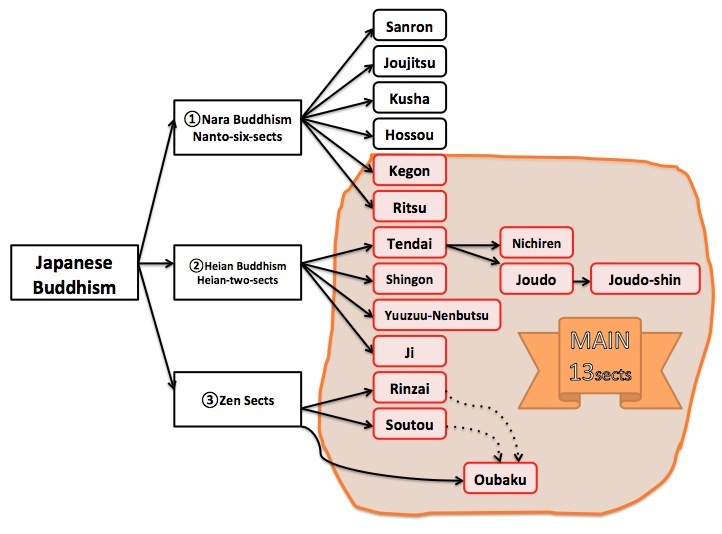 The esoteric Buddhism that Kuukai learned had a big impact on the Japanese Buddhist society, the court nobles and other monks who visited him with the desire to learn. Saichou, who had founded the Tendai-sect earlier, was also one of them. Thus, the esoteric Buddhism Kuukai brought back and taught went on to become the main type of Heian Buddhism. The main concept of the Shingon-sect was 'Mandala 曼荼羅（まんだら）', which is a spiritual and ritual symbol in Hinduism and Buddhism, representing the Universe. Kuukai brought back two mandalas from China and they became central to Shingon rituals: the Mandala of the Diamond Realm (kongoukai mandala 金剛界曼荼羅（こんごうかいまんだら）), representing Buddha's wisdom, and the Mandala of the Womb Realm (ryoubu mandala 胎蔵曼荼羅（りょうぶまんだら）), representing mercy. On each Mandala, many Buddhas are drawn and in the center of each Mandala is Dainichi Nyorai Buddha (Mahavairocana). Dainichi Nyorai is central to Shingon esoteric teachings and has many virtues. Each virtue is assigned roles and appears under various Buddha forms such as Amida Nyorai, Fudou Myouou, or Jizou to save people. Therefore, all the other Buddhas are regarded as representatives of Dainichi Nyorai. In temples of the Shingon-sect, not only various Buddha forms, but also numerous Gods are worshipped because they believe that there is a great "cosmos" encompassing all religion and thought, with Dainichi Nyorai being its center. The Mandala accurately depicts how the Shingon-sect views the universe and the world's place in it. In fact, Gods, people, animals and various other creatures take a place beside the Buddhas on the Mandala, which indicates our place in that universe. The Mandala depicts each one of us living separate and different lives, but everything in the world is connected and everyone lives with marvelous fate; ご'goen 縁（かんじ）'. Overall, Heian Buddhism was Buddhism for the aristocracy to gain happiness in this world through observance of the Buddhist teachings, whereas Nara Buddhism was for the Imperial Court to protect its nation through the study of Buddhism. Then, it moved on to Kamakura Buddhism which preached salvation to ordinary people. At the end of Heian period, the samurai class started increasing its power while the regency held by nobility declined and the political or financial powers were no longer stable. Along with that, the desire for salvation increased among common people. Furthermore, despotic acts by armed priest, repeated wars, and natural disasters, including epidemics and fires, intensified pessimism and people became more and more open to the possibility of (mappou 末法（まっぽう）), which is the end of the World where only Buddha's teachings remain and where people can never obtain enlightenment. Because of this uncertainty,　Kamakura Buddhism was widely accepted by many common people. Going back to the origin, or in other words, restoring religious precepts and practicing Zen. Seeking for a new form of Buddhism as well as breaking off relations with old Buddhism. Under the influence of China (the Sung Dynasty), the first direction initiated the revival of the old Buddhism movement in Nara (Nanto) and succeeded in establishing the Zen-sects in Japan such as the Rinzai and Soutou sects. The second direction also led to the founding of new sects such as Hounen's Joudo-sect, Shinran's Joudo-shin-sect, and Nichiren's Nichiren-sect. Zen-sects encompass the forms of Buddhist teachings through which one can achieve self-enlightenment through meditation and self discipline. In the Kamakura period, the Rinzai-sect and the Soutou-sect were introduced from China one after the other. 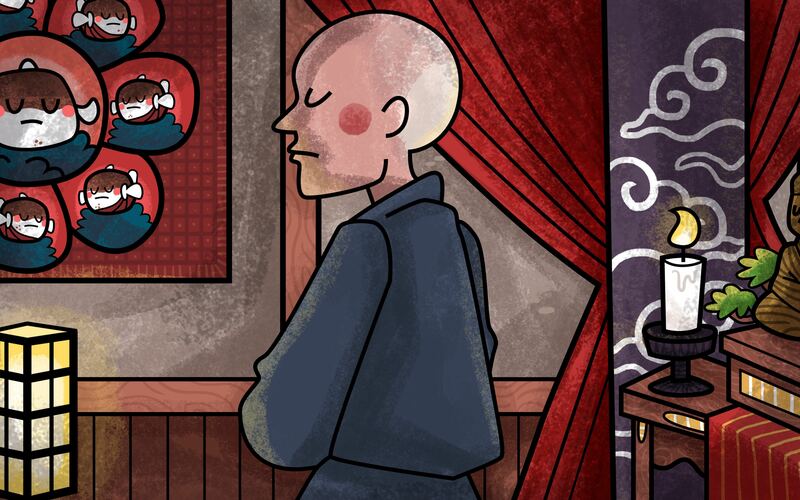 The lineage of Rinzai-Zen began with Eisai who crossed the sea to China (Sung), was influenced by esoteric Buddhism, brought it back to Japan and then founded the Rinzai-sect. Just as Hounen had, Eisai came under pressure from the Kamakura Shogunate at first, but he later established a closer relationship with them and ended up getting their support. After Eisai, Dougen traveled to China (Sung) and brought Soutou-Zen back to Japan. He is also known as the writer of the Shobogenzo 正法眼蔵（しょぼげんぞう）　meaning "The Treasury of the Eye of True Teaching", in which his profound philosophy is described. Dogen's Soutou-sect regarded training by itself as a way to implement enlightenment and emphasized the concept of shikantaza 只管打坐（しかんたざ）, which in Japanese is a term for "zazen" and it means "to do nothing but sit". On the other hand, Eisai's Rinzai-sect practiced a method of Zen religious meditation called kanna zen 看話禅（かんあぜん）, the practice which attempts to awaken one's self awareness through the study of a textbook called the kouan 公案（こうあん）. There is also another Zen sect called Oubaku which is believed to have begun in 1654 (Edo Period) by Ingen from China. It's basically an eclectic blend of both the Rinzai and Soutou sects, using both sitting meditation (zazen) along with working with the Koan-textbook as a methodology to break away from conventional analysis. The Jodo-sect was established in the age when Mahayana Buddhism emerged in India. In Japan, the word spread from Mt. Hiei outward and the result was the establishment of Hounen's Joudo-sect, Shinran's Joudo-shin-sect, Ryounin's Yuuzuu-nenbutsu-sect, and Ippen's Ji-sect. These sects insist that people can't be saved by conventional self-reliance. 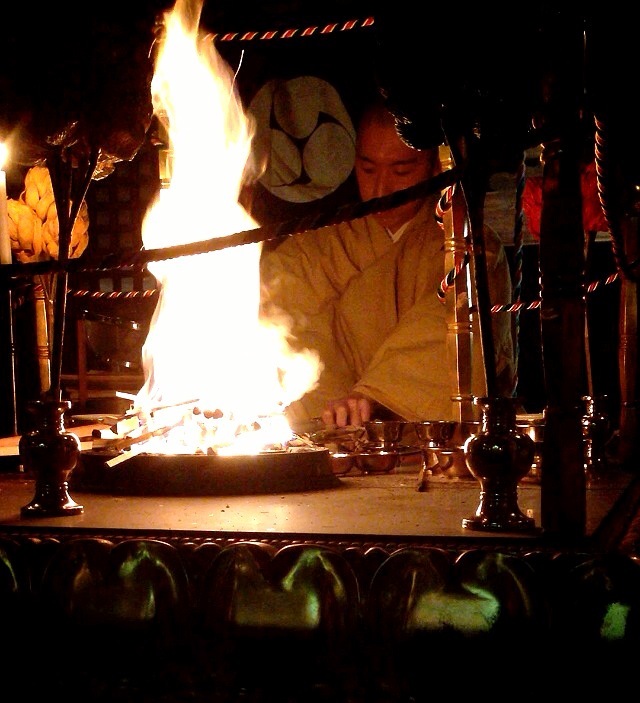 Only by praying (Nenbutsu 念仏（ねんぶつ）) to Buddha (Namuamidabutsu 南無阿弥陀仏（なむあみだいぶつ）) while trusting in Tariki 他力（たりき）, which means Buddha's power, can they be saved. They aimed at making everyone, including the bad, go to Jodo (translates to 'Pure Land'—>Nirvana) after death and become a part of Buddha by achieving enlightenment in the world after life, in spite of already having attained enlightenment in the Final Dharma Age, AKA the end of the World. The establishment of the Nichiren-sect was the last form of Buddhism to be brought forth out of the Kamakura period. Nichiren Buddhism is believed to have been founded in 1253 and the Kamakura period ended in 1333. In this period, there had been a succession of calamitous events, such as famines and epidemics. Furthermore, a crisis in foreign relations caused by the Mongol invasions of Japan enhanced societal anxiety again. Given such a historical backdrop, Nichiren believed in the Lotus Sutra as suitable teachings for Mappo, the end of the World, and insisted that chanting the Nichiren mantra (Namu-Myouhou-renge-kyo 南無妙法蓮華経（なむみょうほうれんげきょ）) is the right way for a Buddhist to achieve salvation. Alright, so we've just completed a basic lesson in Japanese Buddhism. Was it easy to understand for you? If not, you can be honest like I am about to be. This topic was a little difficult for me and it took me a while to convince myself to tackle this article. In the end, I'm glad I did. As I mentioned at the beginning, around 85 million people are considered Buddhists in Japan. However, Buddhism does not directly or strongly affect the everyday lives of ordinary Japanese people. Although most funerals are usually carried out in a Buddhist way and many households keep a small house altar in order to pay their respects to their ancestors, more and more people, myself included, are losing interest in Buddhism. This is especially common amongst the younger generations. Believe it or not, there are monks who do things like rap about Buddhism to attract young people to Buddhism. There is even a monk bar which was established for the same purpose. It seems a little strange, but I think it's pretty cool. I'm not sure if my monk friend is doing such extraordinary things at the moment, but remember, we are going to explore his real monk-life in the next article and I'm pretty sure you're ready for it if you read all this!